This week we are so excited to share the story of one of our dedicated interns, Zofia. Zofia started working for The Allegra Foundation this summer and has done amazing work helping us expand our social media platform. More importantly though, Zofia is currently on the ground of one of our projects in Addis Ababa, Ethiopia, where she is visiting the Kibebe Tsehay orphanage. 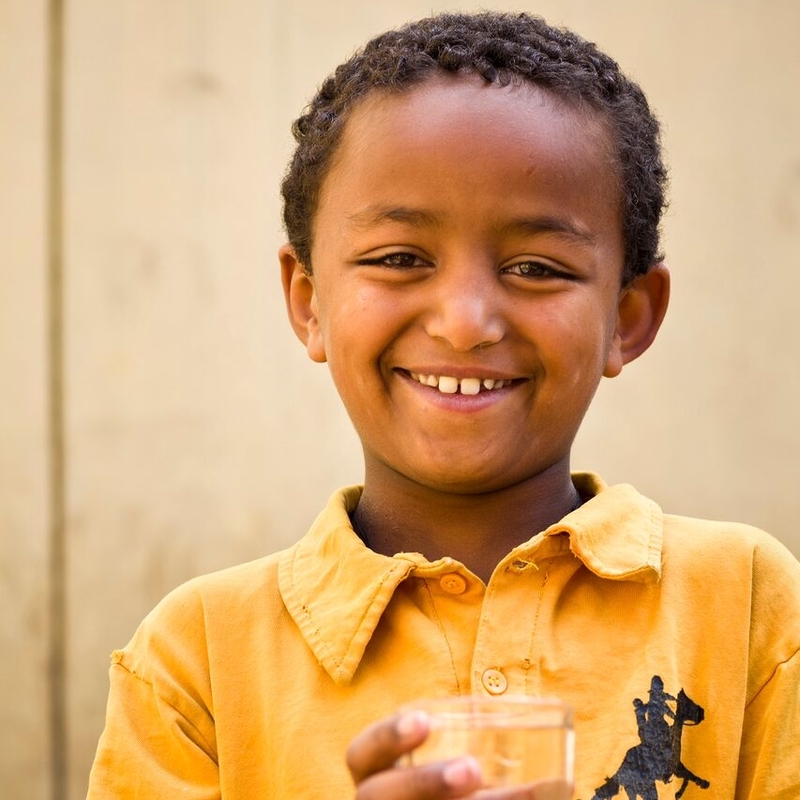 Just this year, Project Waterfall partnered with the charity Splash International to bring clean and safe drinking water to the children at the Kibebe Tsehay orphanage. The project was made possible by the contributions from UK Coffee Week 2016 and is close to the heart of The Allegra Foundation because Addis Ababa is a major coffee producing community in Ethiopia. Prior to the project’s completion, water in the Kibebe Tsehay orphanage was contaminated with parasites. This was especially harmful to the 590 children in the orphanage because they are all under 8 years old, making them even more vulnerable to water-borne illnesses. Thankfully, today the children in the Kibebe Tsehay orphanage have a water filtration system where they can drink safely and wash their hands. They have also been taught safe hygiene practices, and student led clubs continue educating new children in the orphanage about hygiene every day. We are so happy to have helped fund this amazing project that has changed the lives of the many children in Kibebe Tsehay. While we are proud of what we have accomplished in Addis Ababa so far, we know our work is far from over. After the children in Kibebe Tsehay turn 9, they are moved to other orphanages in Addis Ababa that care for older children. Ketchene is a sister orphanage to Kibebe Tsehay, and will become the home of many of the young girls from Kibebe Tsehay after their 8th birthday. It is our goal at Project Waterfall to partner with Splash International once again and help fund a project that will bring clean and safe water to all the young girls in Ketchene. This is where you can help us. The coffee industry is a powerful one, and all the coffee consumers around the world have the ability to make a huge impact on the lives of those in coffee producing communities who live without clean water. This Friday on National Give Something Away Day, we challenge you to give away the equivalent value of one cup of coffee to support Project Waterfall and the children in Ketchene orphanage. Just £3 can make a real impact. Follow Zofia’s journey with us throughout the week and we know you will be as inspired as we are to give away one cup of coffee, a luxury in our lives, to help bring something that is fundamentally important to these girls. With your help, we can solve the global water crisis #onecupatatime. Don’t forget to follow Project Waterfall on Facebook, Twitter and Instagram to get updates on Zofia’s time in Ethiopia.